we believe that your vacation begins long before you board your flight that takes you to our island paradise. your vacation begins at your own front door, in your living room or most likely at your kitchen table - weeks or months before your take off. with a little help from us we can make sure that your vacation will be the vacation of a lifetime, filled with precious moments and memories that will last forever. if you have never been to Kauai it is hard to know where to even begin - so let us help you make the best choices - tailored just for you + your family. As destination wedding + event planners we constantly plan outings, explorations and things to do and see for our brides + grooms and their guests. we consult with them in the weeks and months before their arrival. that got us thinking - why not do the same for you - call us for a consultation and we will be able to help you select the perfect places to stay + play + eat. let's find out what is important to you - and what matters most. based on that, we will help you decide on which side of the island to stay, in which town. we will help you decide which resort or condo complex will be best suited for you, your friends + your family. we will be your sounding board and eyes and ears on the island - and happy to check out a place on your behalf. we will only recommend places where we would enjoy staying - places that have something unique to offer and have a fair price. when we travel we appreciate and expect a good value for the dollar - so while we sometimes splurge and choose the most luxurious place - most of the time we have to adhere to a budget. but in the end the ultimate + deciding factor for us is that the place where we rest and stay must feel good, is spotlessly clean and has a positive, inviting energy. we want to feel comfortable and happy and at home the moment we walk thru the door. in our quiver, we have - hotels, boutique hotels, vacation rental condos and condo-hotels all over the island. and no - we do not get paid a commission to recommend any of them. as destination wedding planners and fellow travelers we just happen to have a special "knack" for knowing where the the best places are to stay. ok, so we are foodies, we are spoiled and we have high standards - our food needs to be clean, pretty, healthy and served in a nice atmosphere. it doesn't always have to be hip or super fancy, but it has to be real - and really good. it has to be authentic. we love and appreciate the creative approach when it comes to presentation + service + atmosphere. therefore, the places that we share with you follow the same principle as our recommendations of places to stay - we will only send you to the places where we love to eat. we will also share with you our favorite places to shop - from local farmers markets to grocery stores and health food stores. we are confident that after you have followed in our footsteps for a while you will be excited and confident to follow wherever we go. one of our unique + insider lifestyle services is to cook + share a meal with you - please check it out under the cook with a local chef page or join us for an island orientation picnic. to learn more go to our luxury picnic page. 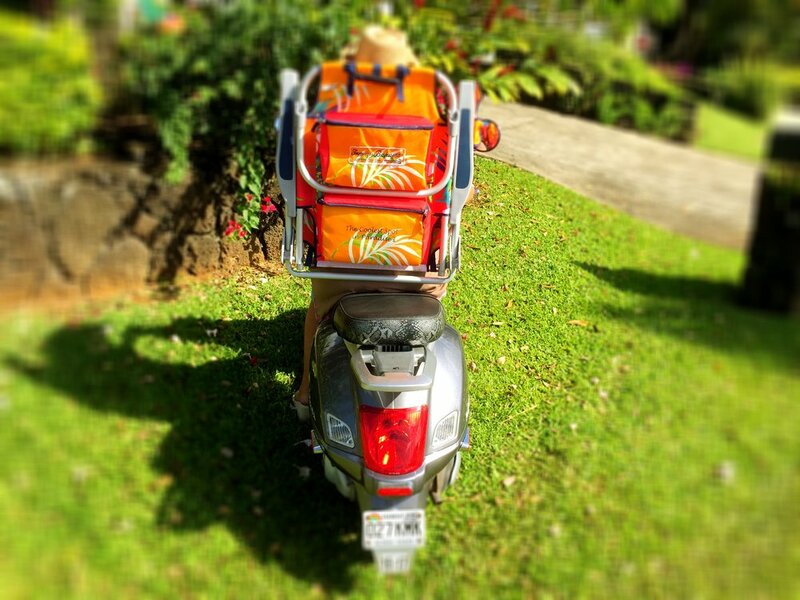 come play with us and explore kauai the local style + insider way. we want to show you what living in a postcard feels like. our itenaries are a direct reflection of what living in paradise feels like - this is what we do every day, this is how we live + why we love living here. based on your family + group we can customize an unforgettable day on the island for you. insider itineraries is what sets us apart from the rest of the pack - learn more under NikkiTours.